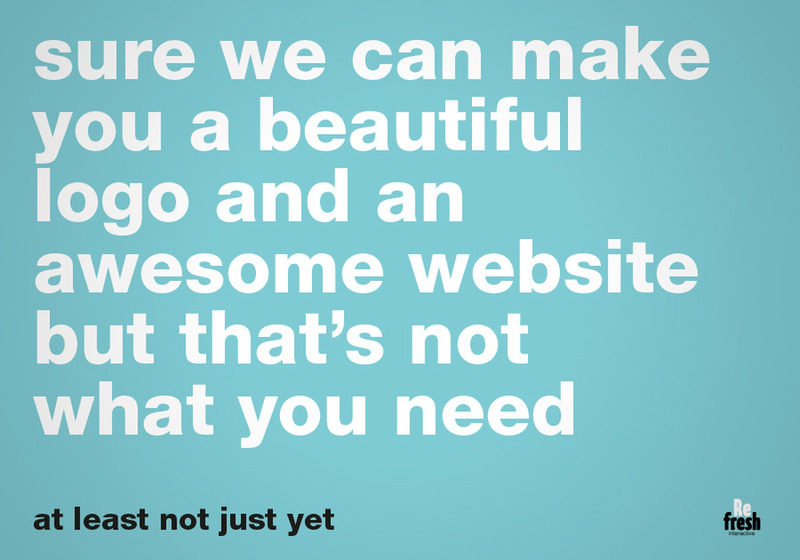 So you're looking for an agency to make you a new website? Maybe to gain more leads, bigger profits, revenue or even grow in size. But should you get a new website then? Could be, but at Refresh Interactive we believe online communication isn't the only answer. At least not without the right offline communication. To make sure you actually live the promise you make online, so that your clients trust you. That's what really matters and we call it blended communication.